Real estate has wonderful potential to make you a lot of money whether you are buying commercial or rental property. Commercial real estate is better than residential real estate because you have long term rental income which is usually higher, meaning good return on investment. Commercial property refers to a wide range of properties like warehouses, offices, retail buildings, apartments amongst others. All these require a level of maintenance if you are to continue to make money out of them. However, just like any investment, commercial real estate has the good and the bad side. We will explore this in detail below. Advantages of commercial real estate. The income potential for commercial real estate is big. When you compare it to residential real estate, commercial can give you as much as 12% return depending on the area and the type of property. Residential property, especially single-family homes, will at best give you about 4% return. The property will also give you a regular income stream which gives you money to invest in other investment vehicles, or money to pay off any debts you may have. Most people who own commercial property run them as businesses unlike the kind of relationship that may be found in some residential properties. This makes it easier because the business is contract-based and professionally run. It eliminates the need for unnecessary interaction and your tenants are legally bound to take care of the property while making sure that they pay their rent on time. On their own, commercial real estate has some of the best appreciation value. Owners of commercial property take maintenance and improvement of the property very seriously because the better the state of the property, the more money they can make. This is also a great feature because it improves the value of the investment, and if they were to sell it they would get a good value price, or if they were to use it as collateral for a loan, they would most likely get a good amount of money. A lender will base the amount he can give you on the quality of the collateral. Commercial properties are easy to evaluate because you can use the owner’s income statement to tell you what the price should be. 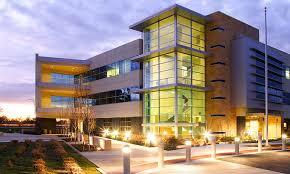 Commercial real estate is also very good because as both the structure and the land on which it is built have value. Depending on the type of contract you draw up, you do not need to involve yourself in the maintenance aspects. You will also not be liable for some of the expenses that come with owning the property. You also have flexibility in terms of the leases. With real estate whether commercial or residential, you get to earn tax benefits because of the deductibles on the income stream. And let’s face it, who would not be proud to say that they own commercial property in a certain location, it is a great boost for one’s moral and social standing.